‘Start To Feel’s definitive album 360° (with all the original versions, 18 remixes and all 6 official videos!) is well on it’s way. There’s still a week or so to go before its June 22nd release though, so if you’re feeling that ‘Deluxe Edition’ itch… allow us to give it a bit of a scratch! For those of you who’ve pre-ordered the ‘Deluxe Edition’, today’s the day the album delivers on the next-level brilliance of Alexander Popov’s ‘Run Away’ remake. 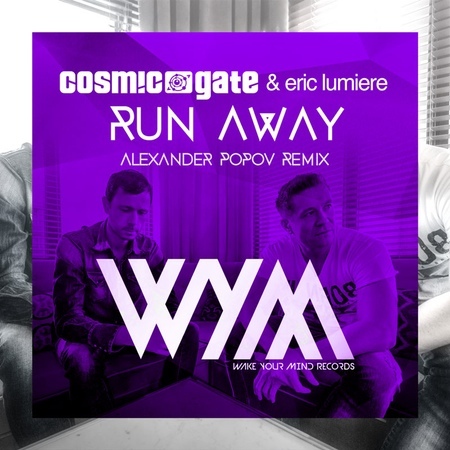 From the always-creative wellspring of the Russian’s studio, Alexander Popov has reshaped ‘Run Away’ into a sleeker, deeper, trance-infused number. In its original album version, Eric Lumiere’s vocal has already stolen plenty of breath and Alexander wastes no time in zeroing back into the song’s emotional core. Packed in around it are air-cutting FX, clubfloor provoking beats & bass and an anthemic leadline that once-heard… will never be forgotten. ‘Start To Feel’s remix reimagining continues at pace! You can get hold of ‘Run Away’ now as part of ‘Start To Feel – The Deluxe Edition’s instant download singles now.